Last month I got together with Deborah Stanton, who is owner of the MovingRoom, for her business branding photography and professional headshots. Deborah is a personal trainer and a health & wellness coach based in High Point, NC. Her office and training space are located at Yoga & Wellness of High Point. She is currently offering classes including a bootcamp which I believe is currently in session. Many know Deborah from the Hartley Drive YMCA of High Point, where she has taught classes for over 10 years. She is certified and well-educated in many areas of her profession. Please visit her website for additional information and for a schedule of classes - I highly recommend her! We had such a great time the day of her branding and headshot session & I hope to work with other business owners to achieve their photography branding goals. Please get in touch if you'd like to schedule a headshot and/or branding session with me! Serving all of Greensboro, High Point, Winston-Salem, Kernersville, & beyond! 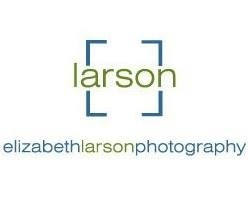 please contact us for your business branding needs & for professional headshots!